Maintaining a work-life balance in today’s world is almost an impossible feat. Advances in technology have made employees accessible round the clock. Insecurity of losing their job incentivizes working for longer hours. According to statistics, almost 94% of working professionals work more than fifty hours a week. The compounding stress that comes from long workdays is extremely damaging. It does not just hurt your body but also your relationships and general happiness. Balancing work and life may mean different things to different people. However, here are a few tips that can help you find the right equilibrium. If you will keep yourself available 24 hours a day and seven days a week to your bosses, you are going to get overloaded. 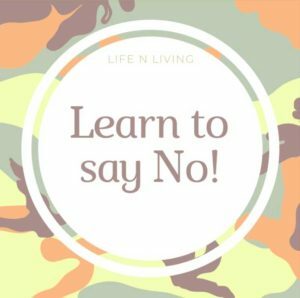 It is important to harness the power to say no. If you are someone who finds it difficult to refuse a work assignment. It is best to stall. You don’t have to answer right away. Tell your boss or manager that you will get back to them, then take that time to contemplate whether to take up the project or to refuse. If you want to refuse extra work, say no or make up a good excuse. While growing up we were taught to work hard and sleep less. Today it is known as ‘sleep hacking’ – training your body and mind to require less sleep. However, this is a wrong trend. An ideal work equation is: output = amount of work per hour × number of hours worked. When you work more and sleep less, you concentrate too much on the working part, leading to exhaustion. It is best to work smart to achieve the right work-life balance. This includes tight prioritisation – giving yourself only a specific amount of time for every task – and not getting caught up in activities that are less productive, including unstructured meetings. No matter how busy you are, you always make time for important things in life. You eat. Use the bathroom. Sleep. However, one of the most important needs of our body- exercise – is usually the first thing that is ignored when the calendars get busy. One of the best ways to reduce stress is to exercise regularly. It helps pump feel-good hormones through the body. Meditation is another way to release everyday stress. However, if you’re very short of time, begin with deep breathing exercises when commuting, an easy five-minute meditation in the morning and at night, can make a huge difference. Before logging off for the day, make sure you write down all the outstanding work things and tasks that are still on your mind. Once done, shut down the diary and turn the PC off. Acknowledge that your work day is over and all the remaining tasks will be taken care of the next day. Enjoy the rest of the day without thinking of work. 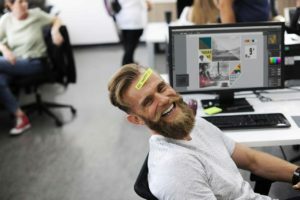 A lot of people are hooked on adrenaline and push themselves from one rush to the other – from one job to another, from gym to work to playing a sport, etc. What is that actually like for their friends and family to be around? It is no fun, particularly when the person crashes – something which is inevitable. It is important to take it easy and keep a relaxed routine instead of rushing through life. Never assume that there is no room for improvement in your lifestyle. Ask yourself what variations you can bring to your routine to improve the quality of your life. Is it possible to schedule meetings during off-peak hours to avoid traffic? Is it possible to order groceries online rather than spending too much time in the market? Build a support system in your team and family that helps you out. Finally, respect yourself. Take out one hour every day just for yourself and make sure you respect that time just as much as you will respect your bosses time. Utilize that time to build a hobby. This will assist you to restore and recharge yourself. Next PostNext Why do the youngsters feel demotivated?